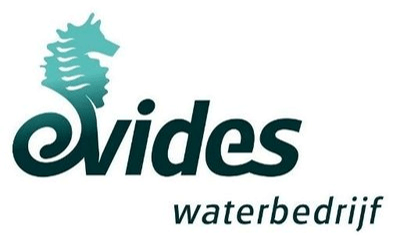 Evides Waterbedrijf, a Dutch water company, serves 2.5 million people and businesses. It also provides industrial water services for large industrial customers in the Netherlands, Belgium, Germany and China. Evides employs 650 staff and is owned by local and regional governments. Evides has long had a strategic approach to information management, using OpenText solutions since 2001 with OpenText Content Server at the core of their strategy. Continued growth, innovation, and the need to capture, store, and make available knowledge from a range of skilled workers led Evides to re-evaluate their broader Enterprise Information Management (EIM) strategy. Evides’ business needs are evolving, including legal retention time periods for many document types. They found the ideal solution, that has the functionality and capability of OpenText, with the familiar look and feel of the Microsoft user interface. Working on the recommendation of IRIS, a long-time OpenText partner, Evides undertook a pilot with OpenText Content Server providing the core foundation of the solution with Microsoft SharePoint. To provide the connection required between SharePoint and Content Server, OpenText Application Governance & Archiving for Microsoft SharePoint is used to provide records management, long-term content archival, and to help reduce storage costs. Also, by keeping OpenText, this eliminated any costly content migration, contributing to the overall lower total cost of ownership. As Evides also wanted to talk to other organizations using similar solutions, reference calls were organized with customers using both Content Server and Application Governance & Archiving for Microsoft SharePoint. The solution is being deployed enterprise-wide to around 650 internal users, and up to 900 users in total. Everyone in the organization will utilize it on a daily basis to some degree. All content, from correspondence and reports to engineering drawings and employee files, is stored. Over four million documents are being managed by OpenText and this is set to grow. Physically storing such a large number of items carries a significant cost overhead. Keeping costs down is a key objective for Evides. OpenText helps them reduce storage costs through its efficient single instance storage capabilities, something that would not be available to Evides otherwise. IRIS also helped Evides with an invoice capture solution based on the IRISXtract™ solution platform in order to optimize the business processes in their Accounts Payable department. Top among the factors for selecting OpenText was the strong, long-standing, strategic partnership between OpenText and Microsoft. Their global relationship and track record gave us the confidence to proceed knowing their respective solutions will continue to work seamlessly together. elementum mi, consequat. diam dapibus adipiscing libero ut nec facilisis libero leo.